When considering the diseases that could be inflicted upon the human body, it’s unfortunate to state that there is no part of the body that’s spared under the fate of malady. From the body’s largest organ, the skin to the smallest of cells that make up the body tissues and organs, there is some disease in the world to inflict any of them. Anaemia is a condition caused due to issues that arise in the red blood cells of the human body. 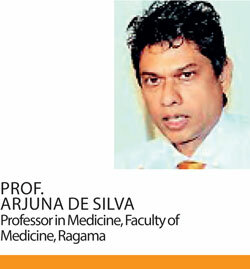 Prof.Arjuna De Silva, Professor in Medicine, Faculty of Medicine, Ragama, addressed the medical malady, known as anaemia. 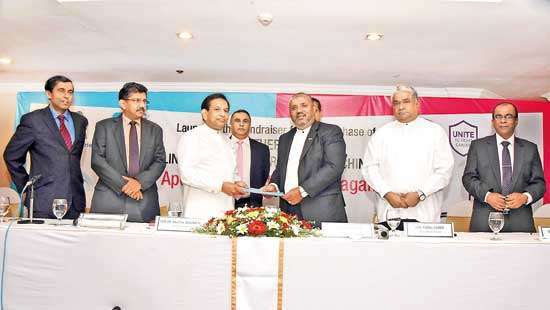 “Anaemia is the condition where there is a reduction in the amount of red blood cells produced in the body, leading to the lack of haemoglobin,” stated Prof. De Silva. The human body consists of many types of cells. The red blood cells are a type of blood cell. Also known as erythrocytes, these red blood cells are responsible for transporting oxygen to and from all parts of the body as well as removing carbon dioxide from these parts of the body. The red blood cells perform this function with the assistance of a pigment known as haemoglobin which helps the erythrocytes to bind with oxygen in order to transport the gas. Higher the availability of haemoglobin, the higher the capacity of oxygen transported by the red blood cells. The pigment is also responsible for giving red blood cells their red colour, which in turn gives blood its red colour. Anaemia occurs due to either decreased haemoglobin in the red blood cells or decreased numbers of erythrocytes which interferes with their functions in transporting oxygen and other gases. 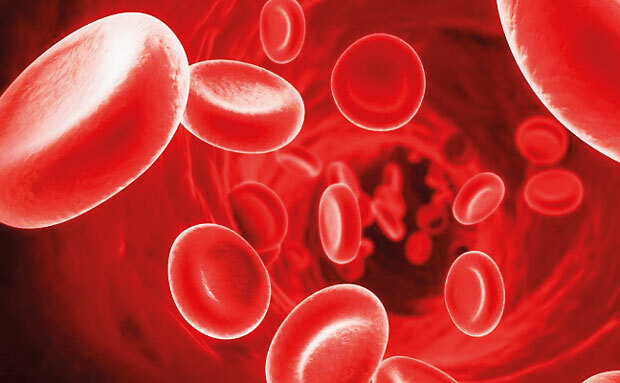 The shortage of red blood cells in the body gives rise to anaemic conditions. Prof. De Silva explained that this shortage can occur in two ways. “It can occur either due to decreased production of the red blood cells or increased destruction of the cells,” he said. He further mentioned that 90% of the erythrocytes are mainly produced from the red bone marrow of the bones. The blood of a normal healthy female adult consists of 4-5 million red blood cells per micro litre of blood whereas the blood of a normal healthy male contains 5-6 million erythrocytes per micro litre. Red blood cells last for about 120 days before they are destroyed by the spleen and liver. “A cause of increased destruction of red blood cells is due to the deformities in the shapes of red blood cells. The Haemoglobin pigment consists of iron and protein. Iron deficiency in a person can lead to anaemia due to reduced haemoglobin in the body. Microcytic anaemia occurs when the red blood cells are smaller than usual whereas macrocytic anaemic patients have red blood cells which are larger in size than usual,” elucidated Prof. De Silva. According to the Professor, Vitamin B12 and folic acid are necessary constituents in the production of red blood cells. When there is a deficiency in these substances it affects the production of red blood cells which could also be another cause that would lead to anaemia in a patient. “The failure of bone marrow to produce adequate amounts of red blood cells could also be influenced by cancer cells, radiation treatments for cancers, immunotherapies and conditions such as fibrosis,” he added. “The destruction of the red blood cells could occur due to abnormalities in its shape. Thalassemia which is a congenital condition that arises from birth is also one such instance where red bood cells are destroyed due to the abnormal shape of the red blood cells. The shape of the cells can be affected by external agents that lead to deformation at a later stage in life. All these factors lead to the destruction of erythrocytes. The enlargement of the spleen due to other conditions could also affect the destruction of red blood cells and give rise to anaemic conditions. Haemorrhoids and menstruation in females increase the tendencies for causing anaemic conditions,” informed the Professor. The main symptoms are non-specific ones such as weakness and lethargy among other signs such as pale skin, dizziness and shortness of breath. Depending on the cause and addressing those causes specifically through treatment, anaemia can be cured successfully. So detection as early as possible is vital. The patient is examined clinically. Eyes, tongue, hands are checked for paleness. Prof. De Silva stated that a full blood count is enough of a diagnostic measure to detect anaemia along with a pretty clear indication of the cause for it. The diagnosis of diseases does not always require complex procedures. A simple test may be sufficient to reveal it all. “There are many treatments available for anaemia. Bone marrow transplant is also a possibility and is available in the island. Identifying the root cause of the anaemic condition and directly treating the condition can lead to recovery. For instance if a patient suffers from anaemia due to iron deficiency, a prescription of iron tablets is one way of treating it,” he explicated. Great attention should be paid to an anaemic patient’s diet which should consist of a nutritionally balanced meal with more weight towards foods such as spinach and other green leafy vegetables which are rich in iron. A good balance of legumes, pulses and cereals will also contribute towards the sustainance of health. Animal liver and eggs are also a good source of nutrition for an anaemic patient. For vegetarians the usual question of fulfilling their nutritional requirements will spring up. 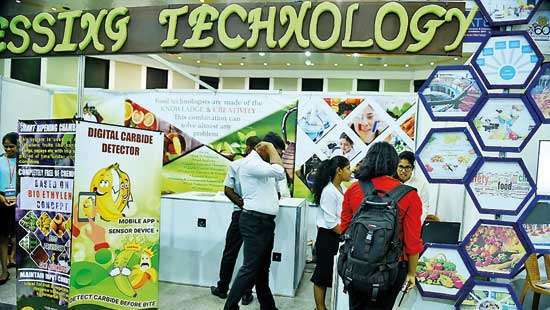 “For those who are not willing to consume meat and eggs, they should take supplementary iron tablets to fulfill their iron requirements,” he advised. According to Prof. De Silva, the main risk groups susceptible to anaemia are females of child bearing age and especially schoolgirls. “This is due to the lack of proper nutrition in the diet due to their busy lifestyle and monthly menstruation which makes females easy victims to iron deficiency and thereby anaemia,” he warned. 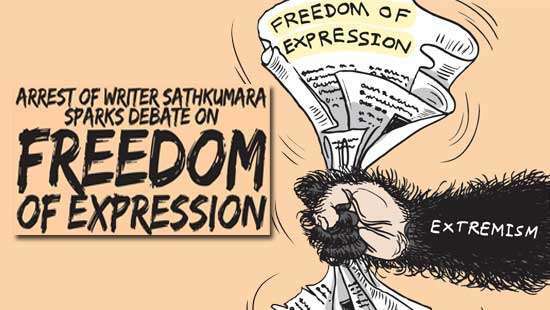 Speaking of the anaemic frequency in the country the Professor pointed out that over the past 20-30 years in Sri Lanka, anaemia was a problem especially with the hookworm infestation. Hookworms infect the small intestine, feeding on the blood causing the red blood cells to burst and degrade the haemoglobin available. “However the prevalence of anaemia in the country at present is very low compared to the past. With increased awareness regarding the topic, a well balanced diet as well as healthy life patterns and thanks to the availability of treatment and progression of health services the anaemic tendency has declined to great extents,” the Professor added.